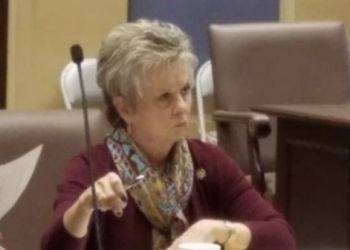 Bartlesville's Senator Julie Daniels serves as the chairwoman for the Judiciary Committee. She says 125 Senate bills have been sent to the committee for review. Daniels says she has read 40 of the bills so far that have been sent to her committe. She says committees still have three weeks to delve into their designated bills. Still, there is a lot that has to be done, Daniels says. Senator Daniels says they stopped this week to recognize Rose Day, which is Oklahoma's annual Pro-Life rally. She would go on to say that the Judiciary Committee will meet on Tuesday, Feb. 12 in Oklahoma City.